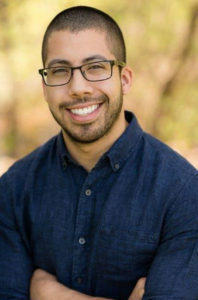 Earning his Bachelors degree in Psychology at DePaul University and his Master’s degrees in Clinical Psychology at National Louis University, Andrew holds extensive experience working with adolescents with mental health and substance abuse issues. Andrew has worked in a variety of outpatient and inpatient settings, treating adolescents, children, and adults. He empowers individuals to overcome obstacles and improve their lives by using an empathetic and collaborative approach to therapy. Bringing a unique talent to the team, Andrew speaks Spanish fluently and has experience addressing needs of diverse populations. Andrew has also developed a particular expertise in working with adolescents struggling with academic, social and family problems through his experience in mental health and hospital based settings. Adolescents and young adults find Andrew to be compassionate, caring and easy to open up to during the therapeutic process.